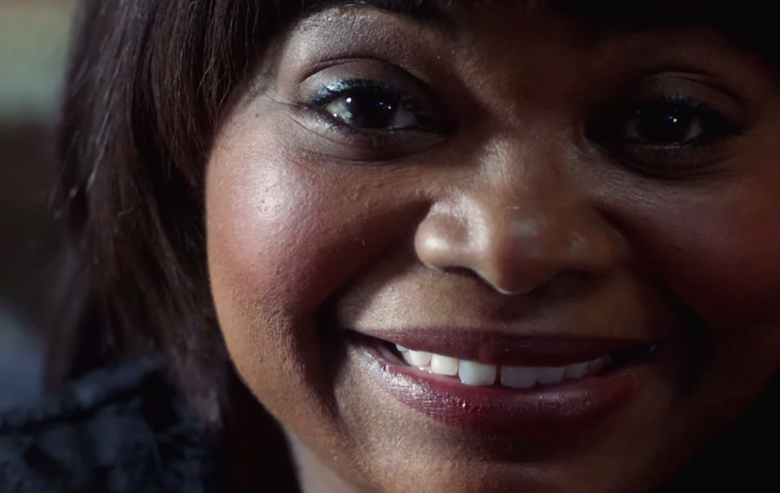 Octavia Spencer and director Tate Taylor are childhood friends, and that friendship has extended into their Hollywood careers, partnering up on both The Help and Get On Up. But who would've predicted their next collaboration would be in Ma, a new horror film from Blumhouse that casts Spencer as a domineering with rules you better not break. In Ma, Spener plays a lonely woman who invites a group of underage teens into her home so they can drink, but she's got rules for when under her roof. Heaven forbid you break any of them. Looks like Ma enjoys some of the ol' drink herself, and she starts getting way deep into these kids' personal lives. Suddenly, "Welcome to Ma's" doesn't sound so inviting, especially when she starts going all Kathy Bates on her young guests. I think with any other cast this would be just another movie to see and forget, but we could be talking about Spencer's performance the way people still talk about Toni Collette in Hereditary. Also in the cast Juliette Lewis, Luke Evans, Missi Pyle, McKaley Miller, Corey Fogelmanis, Gianni Paolo, Dante Brown, and supposedly Allison Janney is in here somewhere. Ma lets you into her home on May 31st.